A Bucks County Classic. 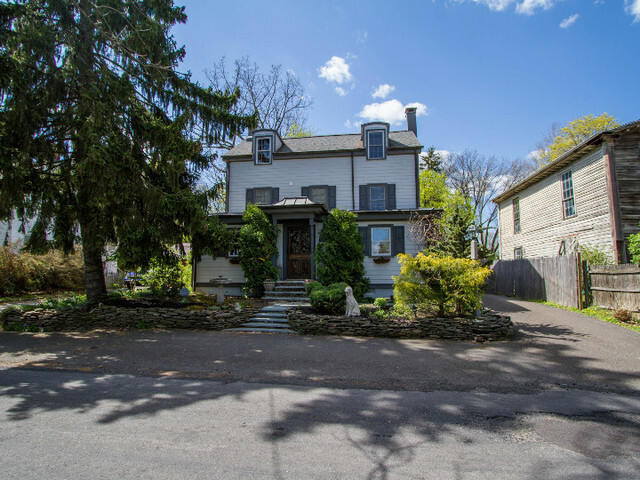 This Charming Circa 1820 farmhouse is located in the quaint village of Forest Grove, Buckingham Township. This spacious 3-bedroom, 1.5 baths updated farmhouse sits on a 1/4 acre lot. 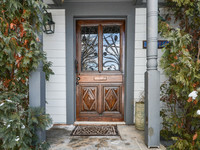 Enter the inviting foyer of this home from the custom bluestone walkway with extensive landscaping through the Art Nouveau front door from Belgium. 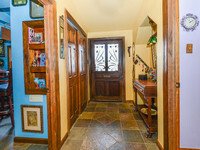 The foyer leads to the first floor office with closet and bar room with custom built-ins and unique lighting. 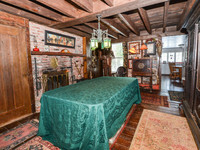 The living room offers built-ins and dining room features a brick fireplace. The character with rustic charm includes pine wood floors, slate flooring, accent sconce lighting, abundant built-ins and brick fireplace in the dining room. The sun drenched kitchen includes wood cabinetry, electric range, dishwasher, refrigerator and door to quaint screened porch. The screened porch includes a new Velux skylight, ceiling fan and the floor is a poured monolith foundation and can be closed in permanently. The upper levels includes a large master bedroom with built-ins and closets, two additional bedrooms and updated full bath. The outside living includes a Crushed stone patio and 12 X 20 blue stone patio, reinforced with wire and rebar that looks over the rear fenced yard with extensive landscaping including a beautiful array of flowering plants and shrubs. Exterior walls of this home are a hardi plank siding, roof is a lead coated standing seam copper roof with soffit venting and a wall vent at main house wall and copper gutters and downspouts with underground PVC drainage to street. New vinyl shutters less than 1 year old. Improvements include newer Timberline ULTRA roof, updated electric panel box, pella windows, new oil heater and hot water heater and sump pump, remodeled baths and most rooms freshly painted. 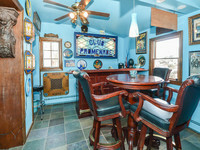 Located close to schools, shopping and major commuting routes. Award Winning Central Bucks Schools.